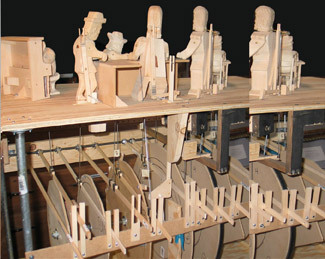 These are hand carved Automatons, reviving the Ancient art of self-operating mechanical robots. 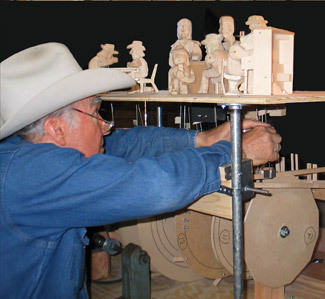 The Deadwood Theater consists of eight hand carved figures, with thirteen separate moves, depicting characters from the HBO TV series, Deadwood. The entire set is hand carved, including the paintings on the walls.